Secret Family Recipes is a labor of love. 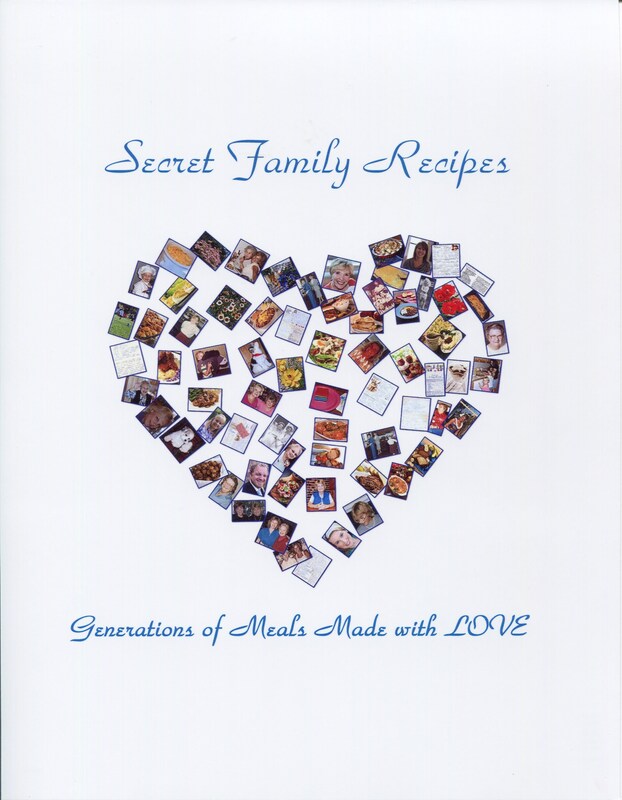 This cookbook includes five generations of comforting recipes we want our children, grandchildren and great grandchildren to be able to prepare. Some meals will more than likely trigger fond memories of dinner conversations we have shared over the years. We're still recalling more recipes which will be included in a future edition. Preheat oven 425º F. Roll one pie crust out on floured surface to a 12-inch circle. Place a rolling pin in center of pie crust. Fold dough over rolling pin. Center over pie plate. Release. Press dough in bottom and around inside edges. At least an inch of dough should hang over top edges. In a large bowl, mix apples with applesauce. Stir in vanilla, lemon juice, sugar, salt, cinnamon and apple pie spice. Add thickener. Mix. Pour apple mixture into pie plate. Dot with butter. Roll out next pie crust. Fold in half. Cut three diagonal venting slits in middle of fold an inch apart. Using a rolling pin, place pie crust over apples so slits are in the middle. Fold top crust under the bottom crust all around. Using your fingers, crimp edge all around. Brush top crust with milk. Sprinkle with coarse sugar. Place pie plate on a cookie sheet in case it boils over. Bake 15-minutes at 425º F. Lower temperature to 375º F. Bake additional 45 minutes to 1 hour, or until apples are tender. Serve with a wedge of cheddar cheese or a scoop of vanilla ice cream.